New techniques in cardiovascular imaging are rapidly evolving and unfold new pathways in clinical practice. In cardiovascular magnetic resonance imaging (CMR) T1-mapping has revolutionized the understanding of the myocardial extracellular space and its importance in a variety of cardiac disorders. Bearing in mind the basic principles of CMR, the T1 time represents the longitudinal relaxation time and is a measure of how quickly the net magnetization vector recovers to its ground state after an impulse. The technology of T1-mapping enables visualization and quantification of the specific T1 time of every voxel within a certain region of interest, which differs between normal myocardium and pathologies, such as fibrosis, edema and infiltrative disorders. While the well-established late gadolinium enhancement (LGE) method allows visualization of focal fibrosis, e. g. after myocardial infarction, T1-mapping additionally allows insights into more diffuse alterations of the myocardium. Using T1-mapping both before and after gadolinium administration furthermore enables the quantification of extracellular volume, which has been validated against myocardial biopsies [1, 2, 3, 4]. 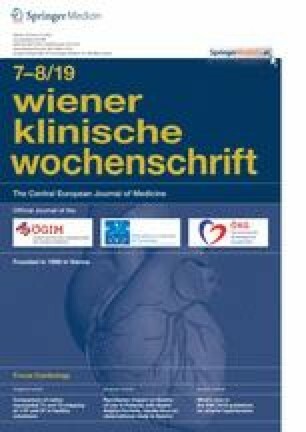 So far, T1-mapping techniques have found their way into clinical practice in the diagnosis of infiltrative disorders, such as cardiac amyloidosis or Anderson-Fabry disease [5, 6] and are being investigated as risk factor in numerous clinical scenarios. Fig. 1 depicts a typical clinical application of T1-mapping in patients presenting with left ventricular hypertrophy. Both cine and LGE imaging did not provide conclusive information in all three patients; however, T1-mapping revealed moderately elevated T1 times in patient 1 (990 ms, first column) with hypertrophic cardiomyopathy whereas in patient 2 T1 times of the myocardium were significantly lowered (840 ms, second column) prompting the suspicion of Anderson-Fabry disease, which was later confirmed by further testing. In patient 3 (third column) both native T1 times and the extracellular volume were markedly elevated (1190 ms and 65%, respectively) which is highly indicative of cardiac amyloidosis. The diagnosis was confirmed by positive enhancement in 99mTc-3.3-diphosphono-1.2-propanodicarboxylic acid (99mTc-DPD) scintigraphy indicating the presence of the transthyretin (TTR) subtype. More recently, T2-mapping was introduced as a new method for detection of myocardial edema in addition to standard short-tau inversion recovery sequences, comparable to the value of T1-mapping on top of LGE imaging. Both T1-mapping and T2-mapping are currently being considered to replace the Lake Louise criteria for the diagnosis of myocarditis [7, 8]. Although they harbor a unique potential for noninvasive myocardial characterization, mapping techniques are limited by the lack of reference values. This is of particular interest since the possibility of CMR T1 and T2-mapping increases referrals for CMR scans, and referral indications are shifting. Non-academic outpatient radiology centers will also increasingly be asked to report T1 and T2-mapping results as well as extracellular volume estimates of the myocardium; however, the current consensus statement of the Society of Cardiac Magnetic Resonance Imaging underlines the importance of validation of reference values in every single center . Figure 1 furthermore illustrates another development of CMR: while cine and LGE imaging are mainly assessed qualitatively, T1-mapping only provides conclusive information if quantitative measurements are interpreted with respect to locally acquired normal values. In this issue of the journal, Granitz et al. report T1 and T2-mapping results of 60 healthy individuals undergoing CMR both on 1.5T and 3.0T systems. Consistent with previous findings, gender and heart rate dependency were reported for both T1 and T2 times. Reference values that are applicable in an older population are still a matter of debate. In this study, as in previous investigations, volunteers were young (mean age 41 years) and only 4 individuals were 60 years or older. Nevertheless, these data are of great importance not only for the center where they have been determined and thus enable the interpretation of local T1 maps. They will in the future, as part of a big puzzle, enhance our understanding of the variation of such measurements and the factors that determine local differences. 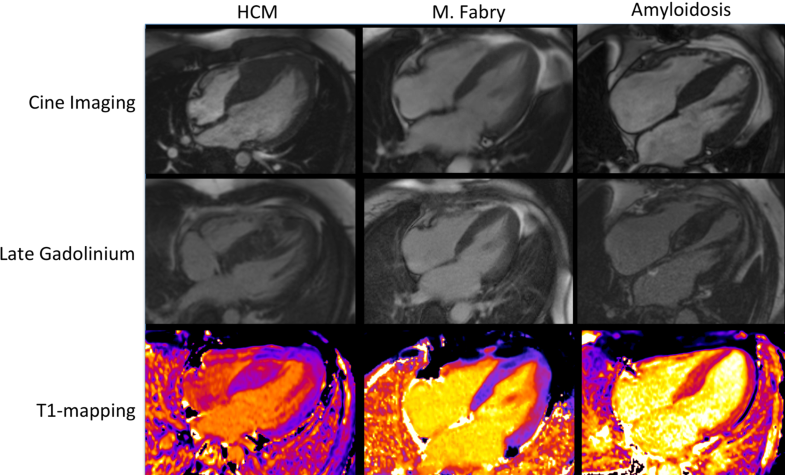 The use of CMR mapping techniques has already revolutionized cardiovascular imaging and will continue to do so. The availability of reference values that do not need validation in every single CMR center will hence be crucial for the correct application of this innovative technique. A.A. Kammerlander and J. Mascherbauer declare that they have no competing interests.